There is plenty to keep you busy through the end of the January at Casino Midas. Enjoy the special comp points promotion for the Game of the Month and more at Casino Midas. Enjoy Tuesday Reloads, Wednesday Insurance Fever, and a special Weekend Madness. Get a R15,000 Welcome Bonus Package. Each month, Casino Midas picks a relatively new game as the Game of the Month. I, Zombie, the January choice, is already popular with players, and brings with it spooky fun. 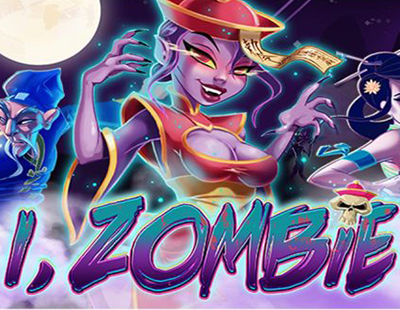 I, Zombie is a new slot game from Realtime Gaming (RTG). Enjoy the benefits of this promotion offer until 23:59 GMT on January 31st, 2019. You get triple comp points whenever you play I, Zombie with real money wagers. In other games, you get one comp point for every $1 you wager. When playing I, Zombie this month, you get three comp points for each $1 wagered. Once you accumulate enough points, you can claim cash back. This weekend, and every other weekend, you get to benefit from 48 hours of Weekend Madness. There are non-stop bonuses throughout the weekend, making it a great time to play. Make sure to enter the redeem coupon code MADNESS before depositing funds. Make a minimum deposit of $30 for this offer. Every deposit you make on the weekend comes with a 50% match bonus up to a total of $200. This means that you have 50% more money to play with for free, which helps you build your bankroll. For example, if you deposit $100, you get an additional $50, which gives you a total amount of $150. The 50% match offer may be used an unlimited number of times. You do need to play through one bonus before requesting another one. Every Tuesday, Casino Midas offers its players a special Reload Bonus. Get a 25% match deposit bonus up to a maximum amount of $100. This bonus offer is valid for all games at the casino. The offer begins at 00:01 and ends at 23:59 GMT every single Tuesday. Make sure to deposit at least $20, and enter the redeem coupon code RELOAD25 in the casino’s cashier section. The bonus instantly appears in your account. Once you complete the bonus, you may take advantage of the same offer again and again. On Wednesdays, Casino Midas offers players a 20% Insurance Cashback offer. If you end the day at a loss, you get 20% back based on the size of your deposits. Claim your cashback on Thursday.